The simple addition of a rug to your home is a great way of keeping your feet cosy and a relatively inexpensive way of adding colour and texture. A rug can transform are unloved area into a cosy corner. All our rugs are ethically sourced and we only buy from suppliers who carry the GoodWeave label, this is the best assurance that no child labour was used in the making of your rug. In order to earn the GoodWeave label, rug exporters and importers must be licensed under the GoodWeave certification program and sign a legally binding contract to adhere to GoodWeave’s no-child-labour standard; allow unannounced random inspections by local inspectors; and pay a licensing fee that helps support GoodWeave’s monitoring, inspections and education programs. Each certified rug features a numbered label on the reverse that can be traced back to the producer, linking you directly to the lives at the other end of the supply chain. Here are some tips to help you choose the perfect rug for your home. 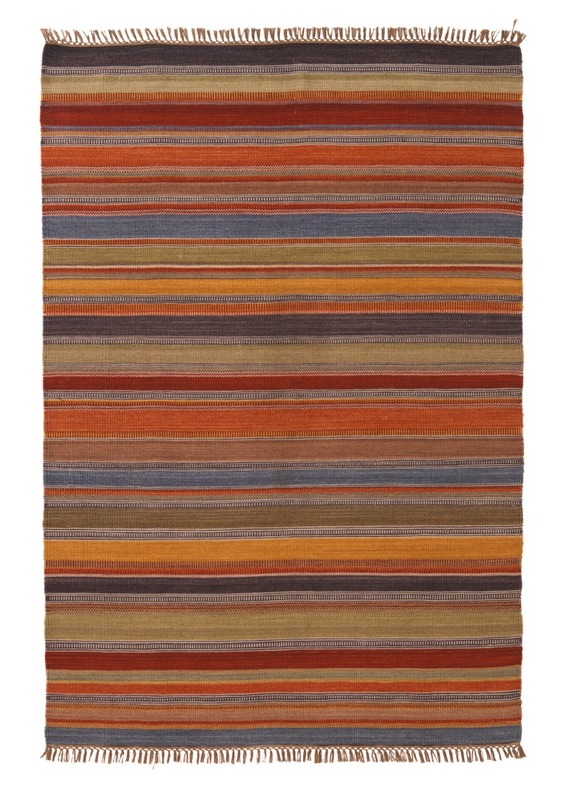 Which type of rug should I buy? 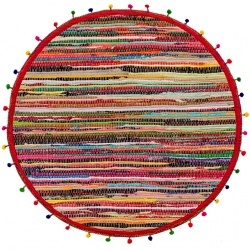 We offer lots of rugs to choose from, all in different shapes, sizes and materials. If you are looking for a rug to blend in and complement your existing lifestyle, you might like to take a look at our neutral tones. 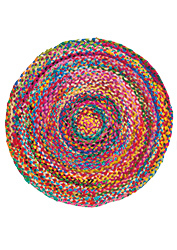 Alternatively if you are looking to make a bold statement, take a look at our bright and beautiful colourful pom pom or round chindi rugs. Best of all we are delighted to be able to offer our exceptionally environmentally friendly PET rugs which are made from recycled plastic but are still incredibly soft. Brighten up your home, save your carpets and floors, save yourself some cleaning and help our environment! 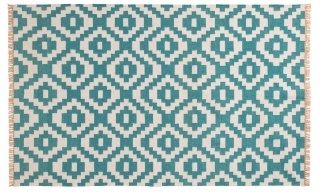 Strong and versatile, cotton rugs are washable and are inexpensive. An easy way to incorporate lots of colour into your home. 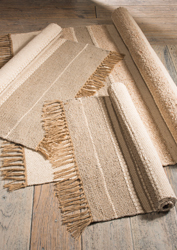 Our cotton rugs are environmentally friendly as the cotton used is generally recycled. Jute is renewable, biodegradable, and carbon-dioxide neutral. Jute is an especially abundant fibre in India. Jute is fairly low maintenance. Natural fibre rugs and carpets tend to mask dirt and dust well, and simple vacuuming should be enough to keep your rug looking beautiful long term. 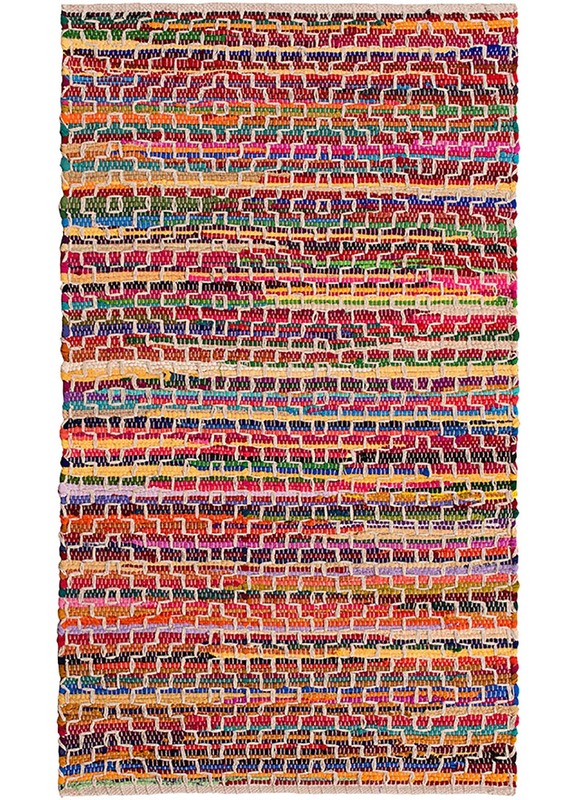 These rugs are indistinguishable from traditional wool kilims. They are made by a clever process that breaks down plastic bottles into super fine fibres that can then be spun into thread and yarn. 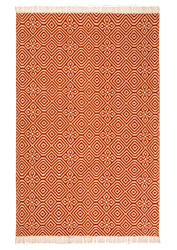 Super versatile, these rugs can be used indoors or on balconies, decking or even as picnic rugs. Please measure your space carefully, use sheets, towels to try out the size. We suggest that you should always purchase the largest size rug for your space, it is really hard to make a small rug look useful at home and you can end up with the floating rug look!